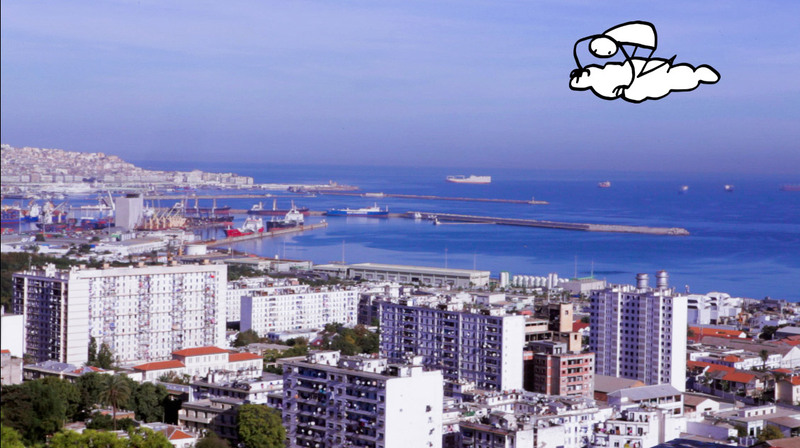 The sun is shining and the sky is blue for Elyx’s arrival in Algiers, the capital of Algeria, the largest country in the African Continent after the break-up of the Sudan, Africa’s largest country. First stop, as usual, is the United Nations Information Centre (UNIC), which has been present in Algiers since 1963. Elyx is just as excited as our UNIC colleagues to be in this very special country. 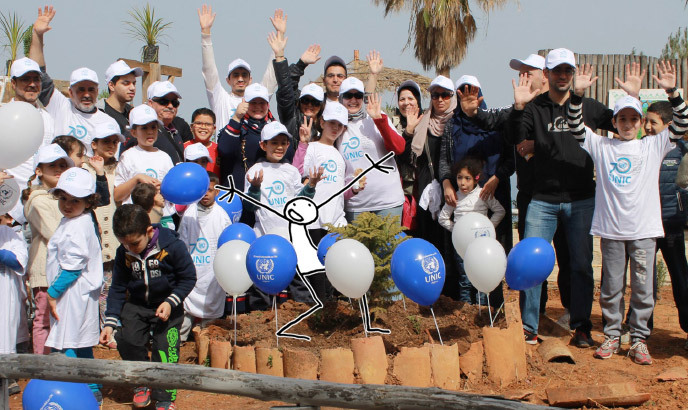 While on a 70 day journey, Elyx had to visit the 70 trees planted in Algiers on the International Day of Forests to mark the UN 70th anniversary (Photo: UNIC Algiers). Our UN colleagues are particularly eager to show Elyx their special initiative for #UN70. They have very cleverly joined the International Day of Forests with the #UN70 celebrations by planting 70 trees. Elyx meets up with UNAIDS staff at the famous Monument des Martyrs. 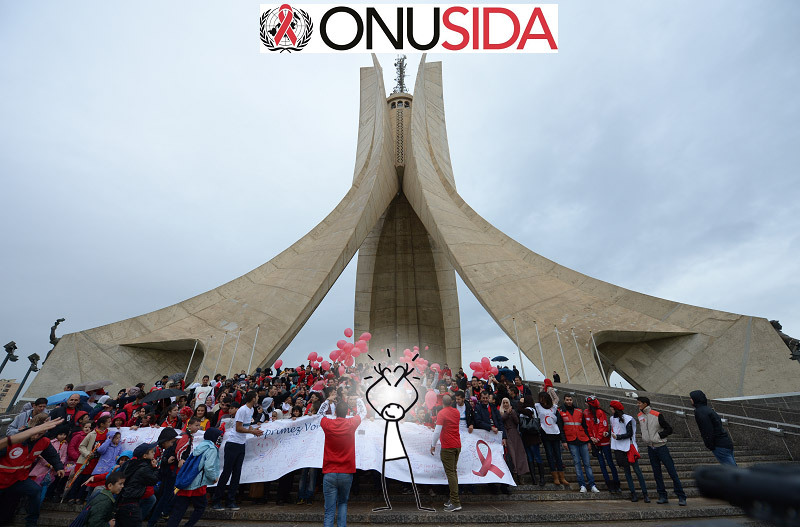 (Photo: UNAIDS/UNIC Algiers). Trip to Algeria is very timely, given that Elyx is a guest at the wonderful event organised by UNAIDS colleagues at the famous Monument des Martyrs, which commemorates the Algerian war for independence. Elyx is thrilled to be part of the event with the support of the Algerian President Abdelaziz Bouteflika in the fight against HIV. Elyx also meets colleagues from the World Food Programme who have been working to provide assistance to refugees in big camps near the town of Tindouf, around 2.000 km southwest of Algiers, and Elyx is very impressed to hear about their hard work. 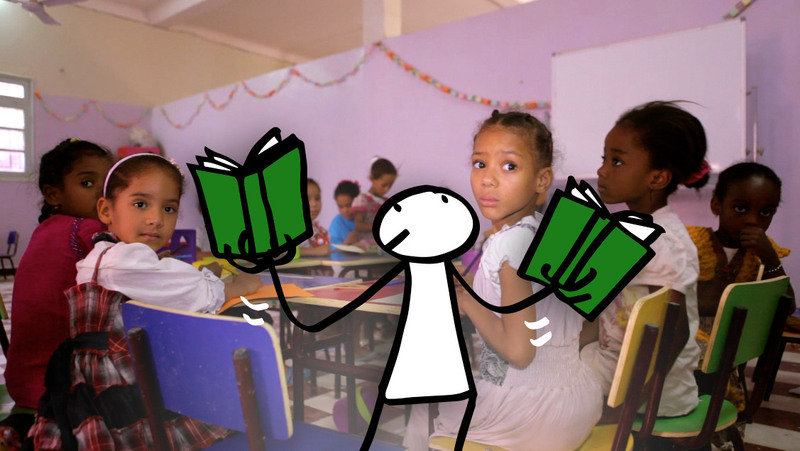 Elyx is happy to find out that that Algeria achieved the Millennium Development Goal of universal primary education already in 2011. (Photo: UNIC Algiers). By the end of the day, Elyx visits a school. Surprised at first, children are thrilled to meet Elyx and Elyx learns in the area of education Algeria has achieved the Millennium Development Goal of universal primary education already in 2011.